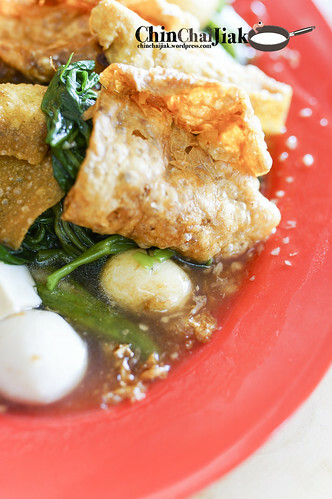 This Yong Tau Foo was recommended by a friend staying nearby and i had been a fan since then. 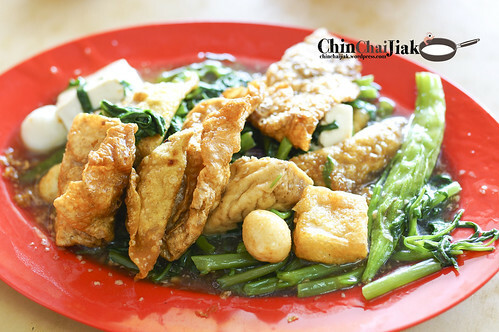 Ngee Fou Ampang Yong Tau Foo has been around in Singapore for about 45 years old. 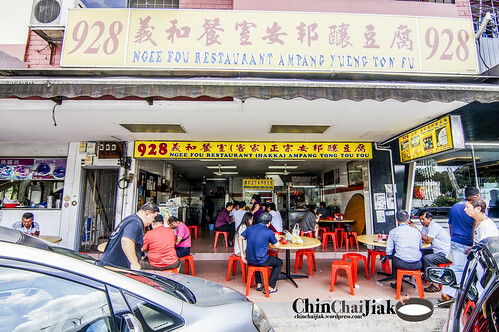 It was said that the first generation owner is a relative of the originator of Ampang Yong Tau Foo in Malaysia. 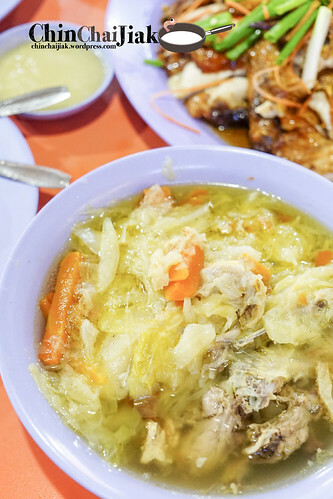 The knowledge on how to prepare a bowl of good and authentic Ampang Yong Tau Foo was then imparted to this family. 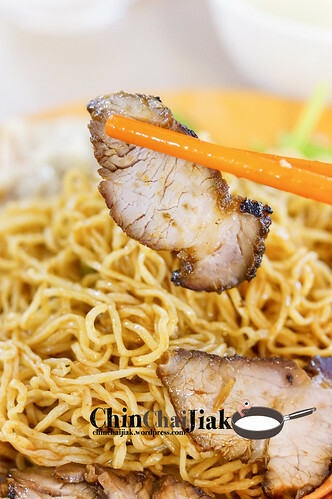 The recipe is tweaked over the years to what it is today. 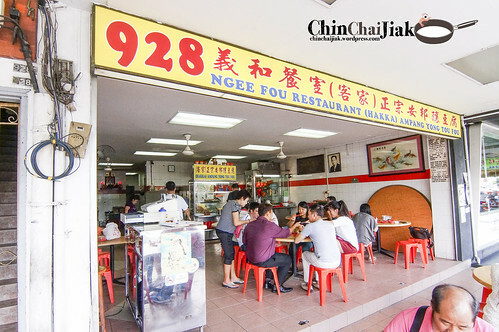 Ngee Fou is situated at the far northern part of Upper Thomson at the Springleaf area and it spans over two shops. 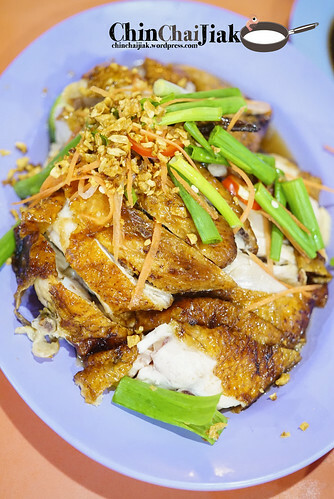 Apart from Yong Tau Foo, they also sell drinks, chicken and duck rice. 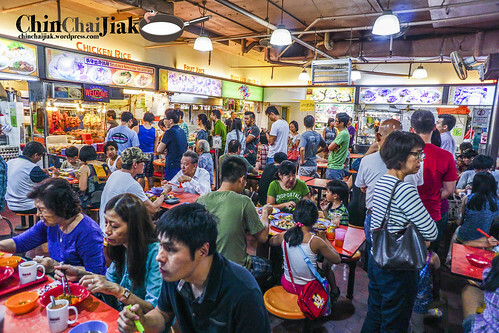 Although it’s location is rather ulu, there is still a pretty decent crowd at meal time. 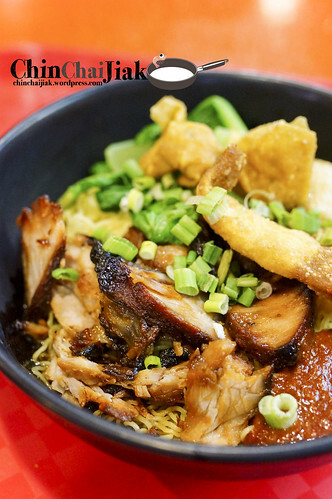 Ngee Fou charges their Yong Tau Foo at an affordable $4 per person and you place your order by stating the number of pax and the auntie will take care of the rest. 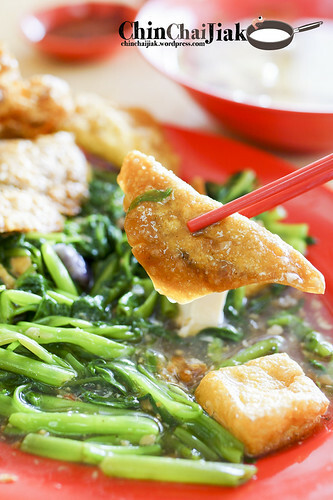 A portion of their Yong Tau Foo comes with fried bean stick, fried wanton, fried quail egg, fish ball, tau kwa, tau pok, tofu, brinjal, lady’s finger, bitter gourd and tonnes of kangkong, drenched in their secret gravy. 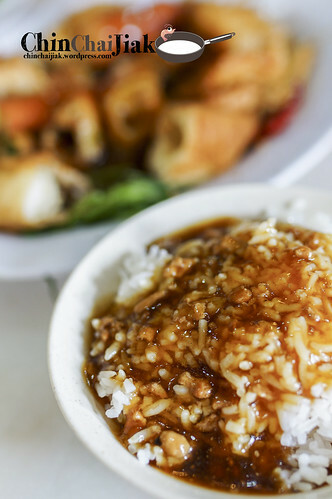 The star of the show is undoubtedly the Ampang Sauce. 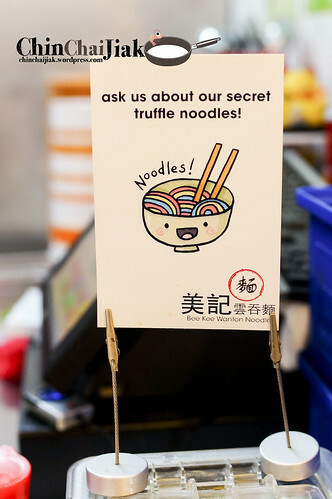 The secret to their recipe is very well kept and the boss is unwilling to disclose them on various media interviews. 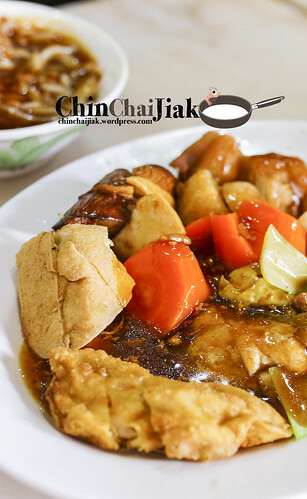 It was mentioned that this gravy is made with more than 10 kinds of ingredients and spices. 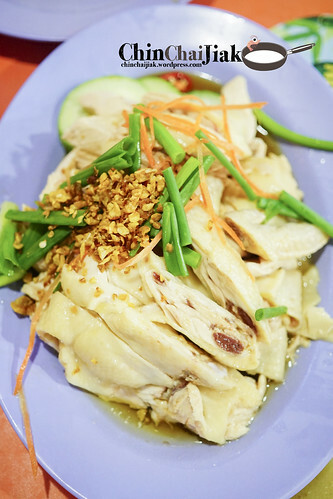 Despite trying hard to analyse what ingredients are used in the sauce, I only manage to figure out garlic and probably flat fish. 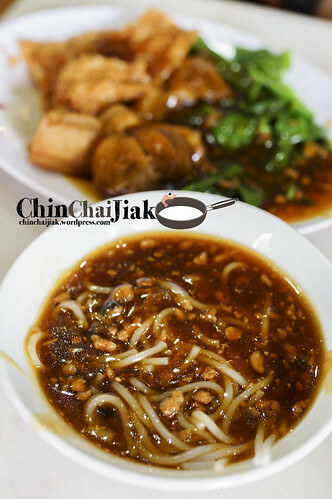 Their thick sauce is not heavy on the stomach, comes with a slight tinge of sweetness and a decent amount of garlic fragrance, and goes exceptionally well with all the Yong Tau Foo items. 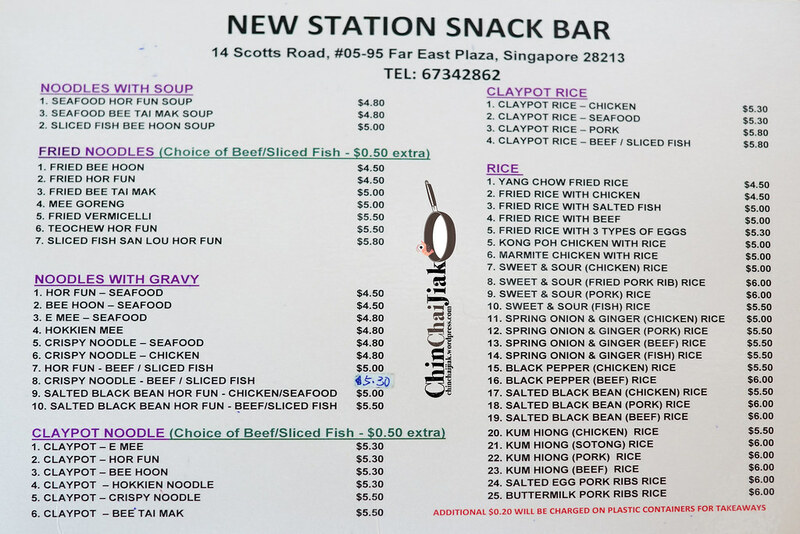 My two favourite items are the fried bean stick and the kangkong. 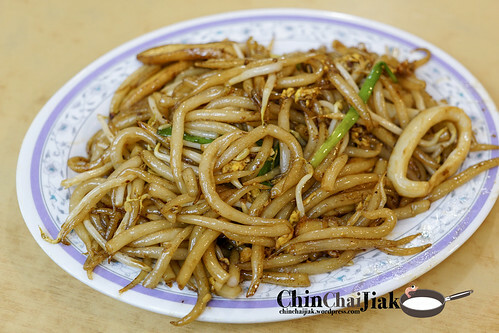 Unlike some bean stick that you find at vegetarian stall which is typically thin and flimsy, this one is well-fried, thick and crunchy. It’s exceptionally good when it’s half soaked with gravy and half crispy. Normally I will sacrifice the bitter gourd and brinjl to exchange for more of these. 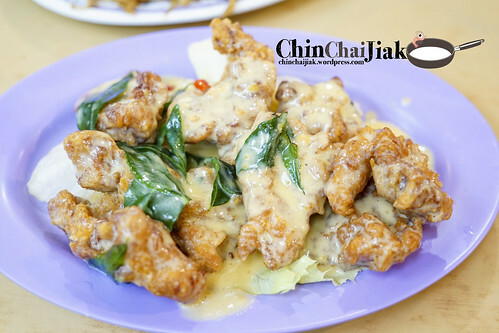 As for the kangkong, they are really generous with the portion, considering it’s only for two person. 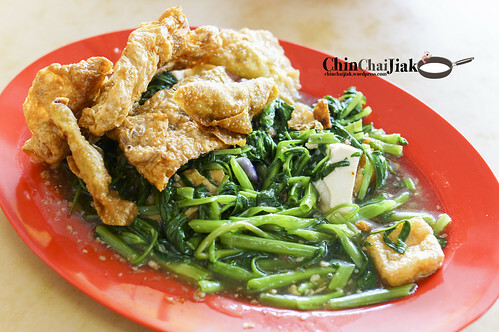 Usually I am not a fan of non-sambal kangkong but this is one exception. Again, credit goes to the gravy for this lovely combination. 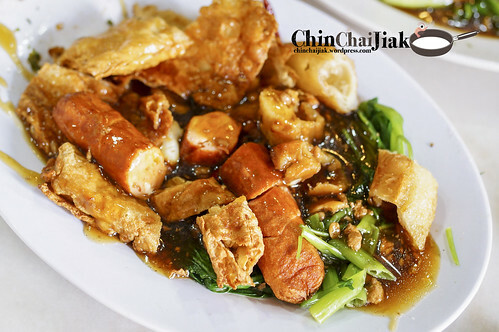 The gravy coated vegetable is well boiled, soft enough and yet crunchy and gives a good balance over the fried stuff. 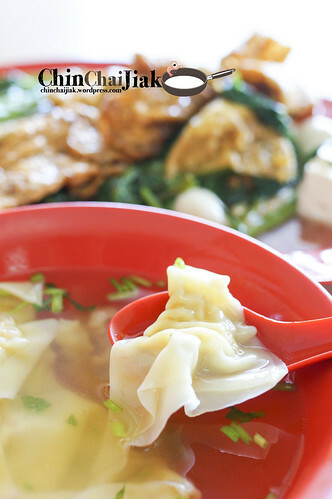 Normally it’s a SOP to order the Dumpling Soup together with their Yong Tau Foo. 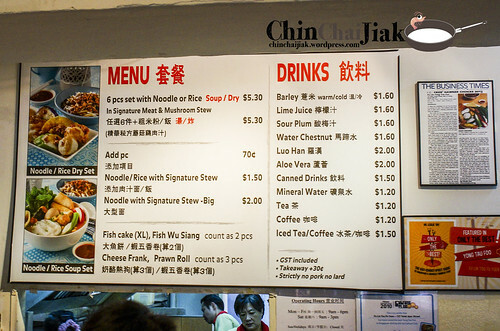 It’s cost $2.00 for five pieces of dumplings. 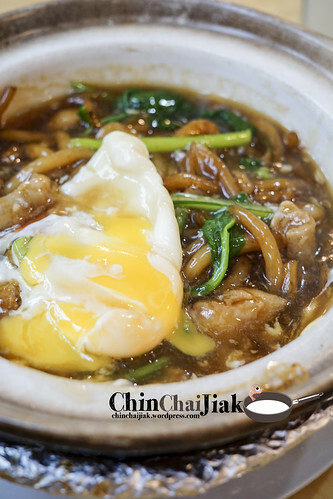 To be honest, the soup has nothing much to shout about and I’m ordering this for their dumplings as an add on to the Yong Tau Foo ingredient. 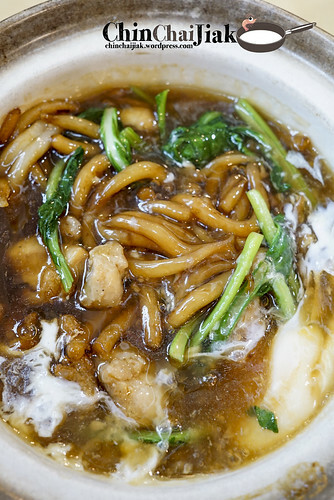 It’s more of a good to have than a must-order. 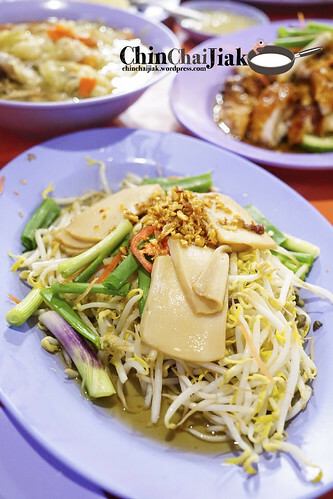 Ngee Fou Ampang Yong Tau Foo is my choice for one of the unique and best Yong Tau Foo in Singapore. 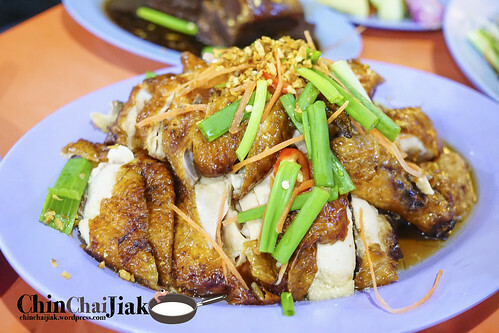 Apart from the great taste, it also comes at a great price. 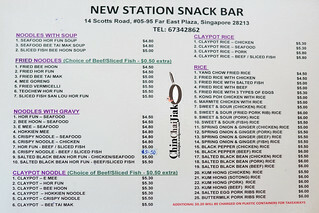 At $4 for ten items plus a big bunch of veggie, i consider this as very affordable. 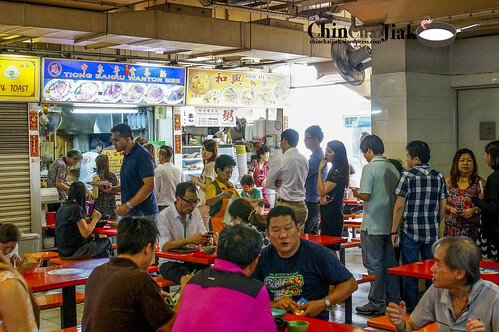 Most food court would have charge much more for a mediocre bowl of Yong Tau Foo. I also like the spacious dining environment despite being a coffee shop. The table is well space from each other without the feeling of being cramp up. However, due to it’s location, it’s not a place that I will visit frequently, especially for people who don’t own their own transport. But who knows, the story may change when the Springleaf MRT station is completed in the near future. 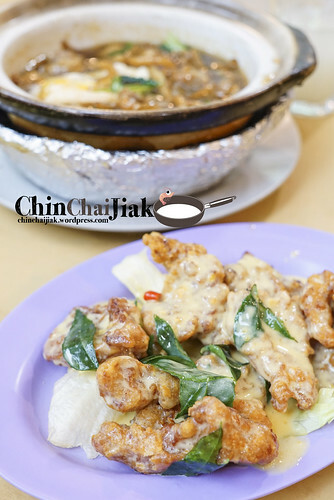 Fu Lin Yong Tau Foo, was established in year 1994 and has since enjoyed great popularity among Singaporeans. 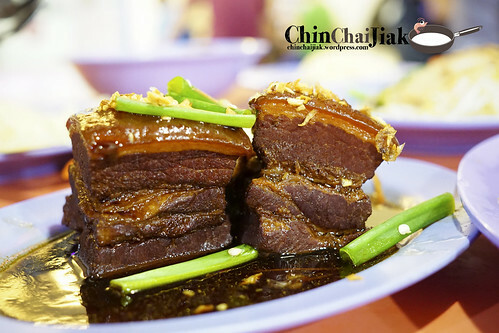 People normally associate Yong Tau Foo with the word “healthy” and “plain”, but Fu Lin’s version is not quite the norm. 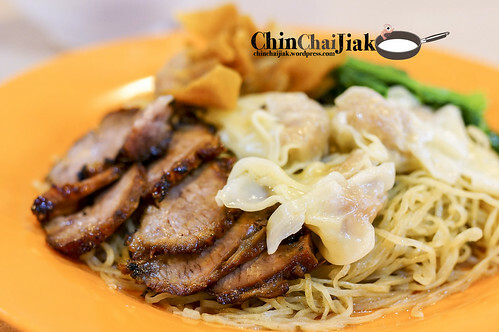 It’s a different kind of Yong Tau Foo where it’s served with a bowl of thick bee hoon, topped with a serving of thick minced chicken gravy. 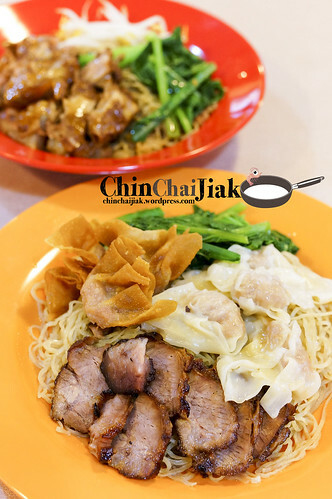 They have a few outlets in Singapore and their main branch is situated along East Coast Road, The branch at Telok Ayer is always full house during lunch time and this briefly gives an idea on their popularity. 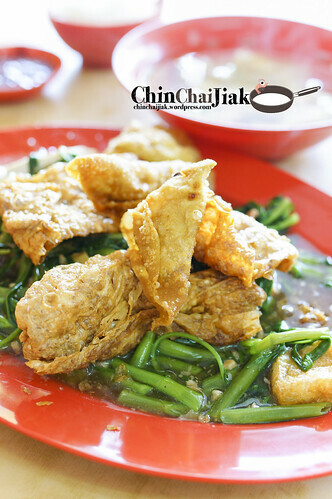 I like Fu Lin for two reasons – the sinfully unique style of Yong Tau Foo, and the freshness of their ingredient. 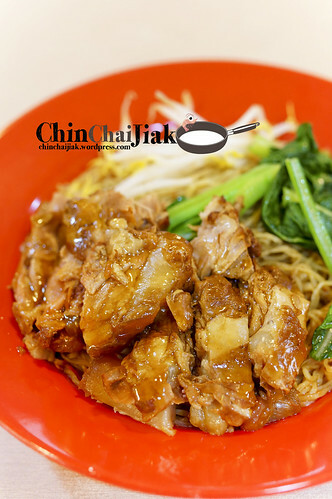 It’s a little surprising to know that there is no pork in any of Fu Lin’s ingredients and therefore this also sets them apart from the Ampang Hakka Style Yong Tau Foo, which uses pork and fish as main ingredients. 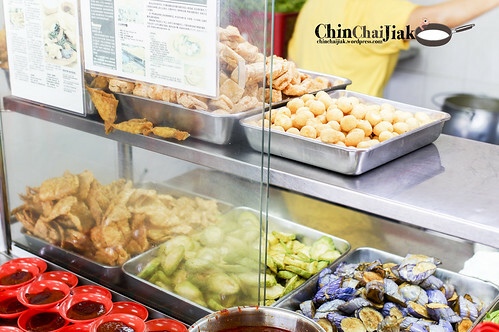 Each piece of Yong Tau Foo is freshly fried and served with a good drench of their home made gravy, which is made from key ingredients like minced chicken, mushroom, garlic and sesame oil. 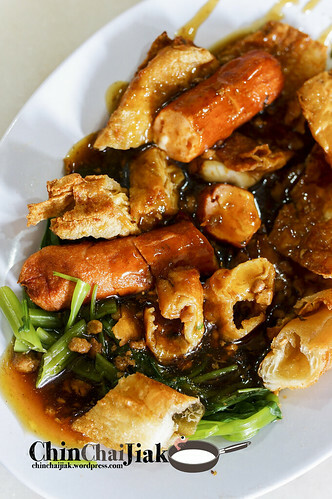 The gravy is not overly cloying, which is an important factor when pairing with mostly fried items. Some may find the gravy a little starchy but I can deal with it. 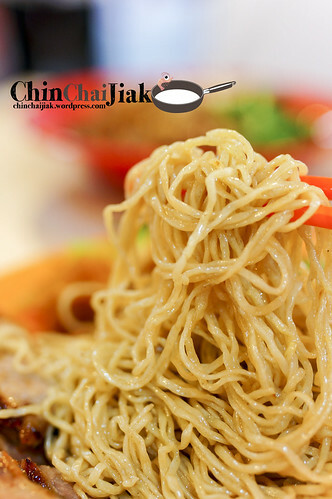 Most bean stick items are popular because of the ability to absorb the meat gravy that makes them really delectable. 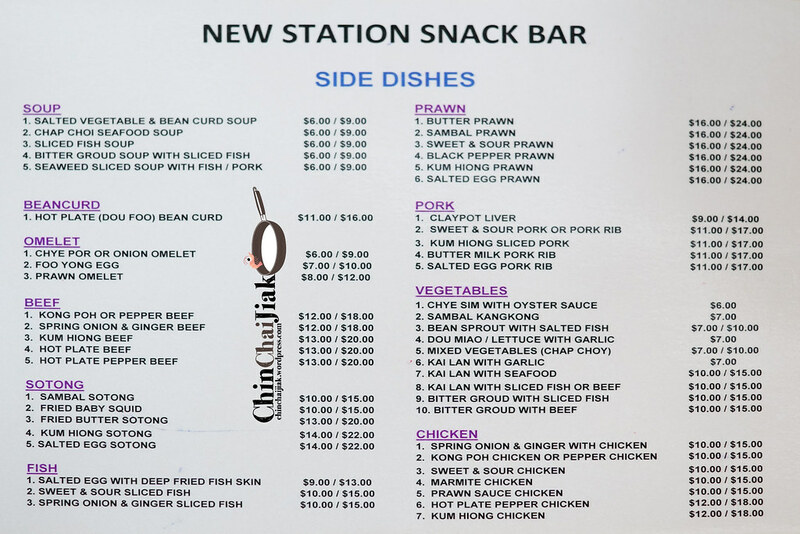 My personal favourite is their Cheese Chicken Frank and Dough Fritters. 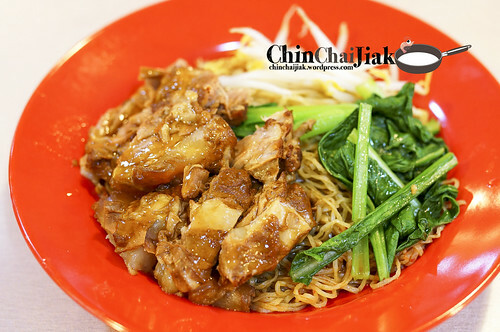 Most people accompany their Yong Tau Foo with a bowl of smooth thick bee hoon or rice that’s drenched in their special braised sauce. 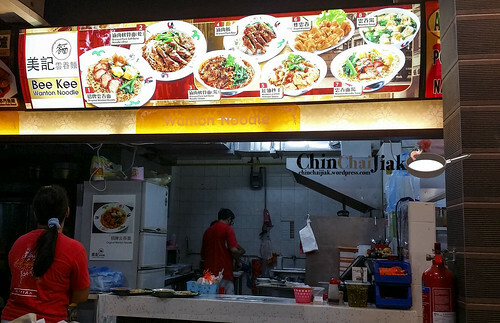 Apart from being more unhealthy than a usual meal of Yong Tau Foo, the pricing of Fu Lin Yong Tau Foo also made it slightly less appealing. 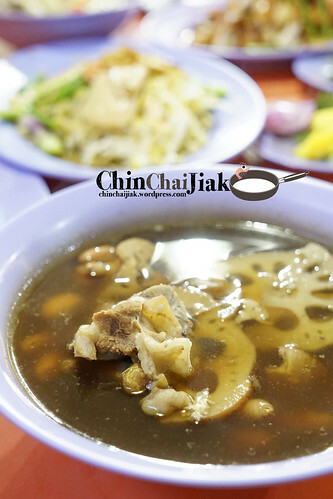 it cost $5.30 for a bowl of bee hoon with 6 pieces of Yong Tau Foo and it’s $0.70 for each additional piece. 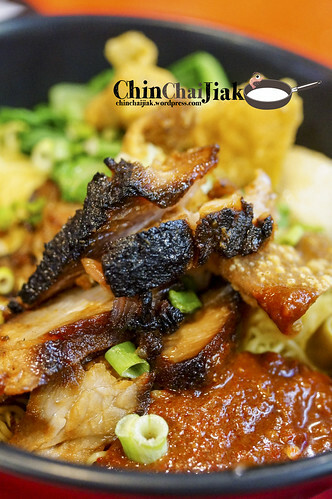 However, the boss once mentioned that he ensures that only the freshest and best ingredients are used in his Yong Tau Foo and therefore the premium price. Worth it or not? You be your own judge. 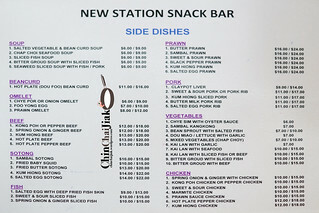 Apparently judging by the bustling lunch crowd, many are still willing to fork out the premium price. 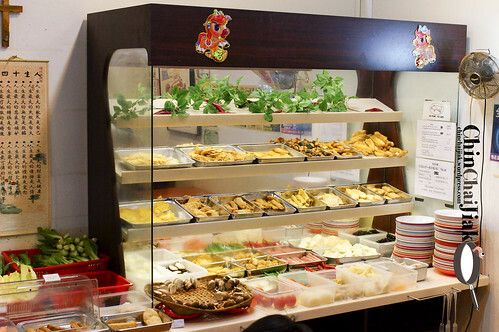 Personally, I think Fu Lin Yong Tau Foo is worth the visit for occasion sinful indulgence. 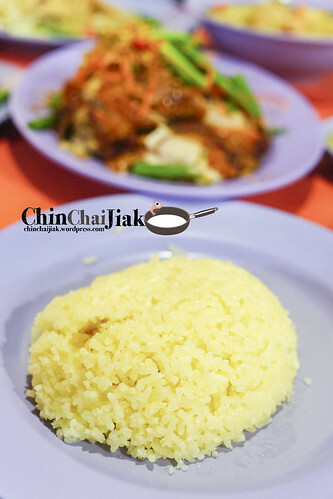 Taste wise, some items are very similar to what I had outside, like their vegetables, carrot and radish. It’s the fried stuff and the meat sauce that made the difference. 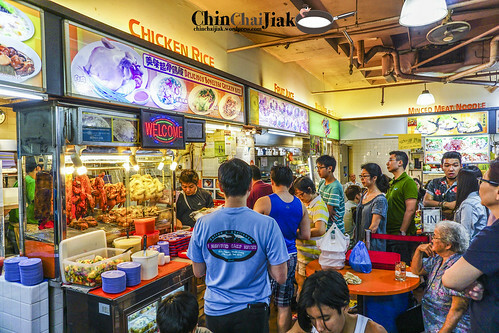 It’s a pity that it’s a little pricey if you compare it to a hawker price, but it’s still OK if we compare it to a high end food court. 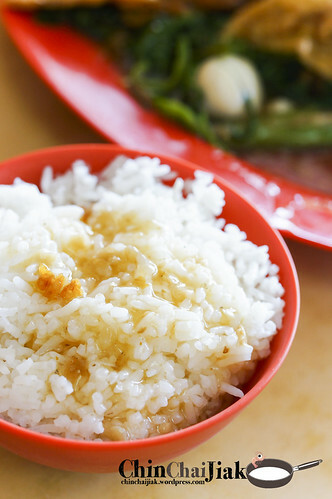 For me, I think it’s still reasonable to pay a little more for a unique meal of Yong Tau Foo. 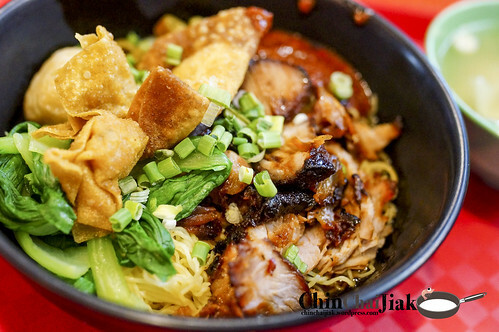 If I am around Telok Ayer area during lunch time, Fu Lin will definitely be at the back of my head.